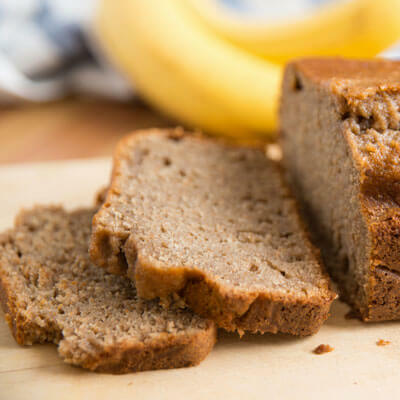 In a small bowl mash together the butter and bananas, add to bread pan of the Kuissential 2-lb Programmable Bread Machine, with vanilla, eggs and yogurt. In a medium bowl, mix together remaining ingredients. Choose the cake cycle (10) 2 lb. Loaf, light crust and press start. When the kneading phase is over, with a rubber spatula scrape down sides and ensuring nothing is stuck to the sides. When the timer goes off, allow to cool and remove from pan.